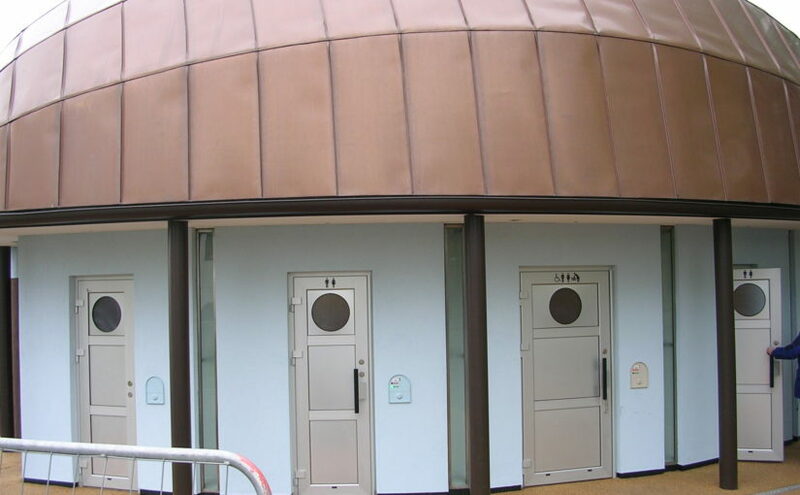 This page contains information regarding the location of RADAR public toilets in the City centre. RADAR keys can be borrowed or bought for GBP2.50 from Guildhall reception. The tourist information office has a map showing where RADAR toilets in the city centre are. Chesterton Road: Next to Boathouse pub car park and Jesus Lock footbridge, open 8am-6.45pm. Drummer Street Bus Station: Next to Christ’s Pieces, open 8am-8pm, key from attendant. Guildhall, Market Square: Ground floor on Peas Hill entrance, open Monday to Thursday 9am-5pm, Friday 9am-4.30pm. Gonville Place: Spaceship in the southwest corner of Parker’s Piece, open 8am-5.45pm, 20p coin entry. Jesus Green: Toilet block/sports pavilion near Jesus Lock footbridge, open 8am-6pm. Lion Yard: South end of shopping centre next to Dixons, open 8am-8pm. Mill Road: Corner of Gwydir Street, open 8am-6pm, 20p coin entry. Park Street Car Park: Ground floor, open 8am to 8pm, key available from office. Silver Street bridge: Open 8am-8pm. Quayside: Off Bridge Street, open 8am-5pm. Victoria Avenue: Spaceship in southwest corner of Midsummer Common, open 8am-8pm, 20p coin entry.